Is your shoe not fitting well? Why not use a shoe stretcher to get your perfect fit! It has been seen that people buy shoes and after reaching home he/she feels that the shoe is not fitting properly and it is quite tight. If the same thing happens to you, what should you do? Maybe the shoe is very much pretty that you can’t afford to lose it. For little expansion, a shoe stretcher is an ideal tool for use. 0.1 What is a shoe stretcher? 0.2 How do you stretch your shoe? 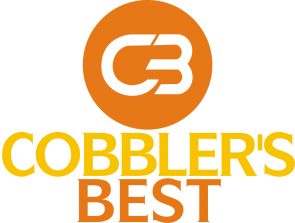 1 Below you will find our list of all the best Shoe Stretchers on the market for 2019 and the best prices we could find online. 2.0.1 And if you are looking for the Best Boot Stretchers on the market for 2019 here is your link and happy shopping. What is a shoe stretcher? A shoe stretcher is an enlarging item for your shoe, and you can do it yourself. This stretcher includes various kind of stretch process of length, width, height etc. and these processes are very easy to handle. Of course, it is not a product that can enlarge your shoe for extra size. The enlargement process must be done slowly that the shoe must not be damaged. 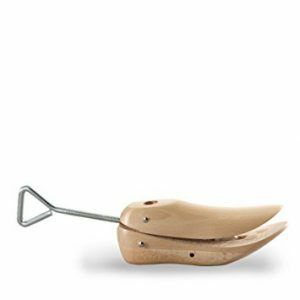 Here are our #1 featured product for Men and Women, the Houndsbay Shoes and Hiking Boot Stretcher: Which goes for $49.95 and every time you make a purchase the people at Houndsbay plants a new tree. How do you stretch your shoe? Stretchers are used to enlarge the space of toe to heel, and you can enlarge both the width and height of the shoe. In the market, stretchers are available in a different size for the different size of shoes. When you want to enlarge the toe box area, first you need to insert the block into toe box of the shoe fully inside that it reaches the end. Turn widening handles multiple times to expand the wooden block to stretch it. Place the stretcher for 6 to 8 hours inside the shoe. Then turn the widening handle opposite side to remove the block. In all the cases, the expanding time and removing process are almost the same. In case of the 2-way stretcher, the heel block must be within the shoes, and you need to turn lengthening wheel for pressing the backward to snug properly. Stretcher Spray using is very easy. All the expanding process is clearly mentioned in the manual of each product. Below you will find our list of all the best Shoe Stretchers on the market for 2019 and the best prices we could find online. This shoe stretcher is very much useful for the enlarging the width of the shoes. The FootFitter shoe stretchers are made of Harvested German Beech wood which is beautifully polished. 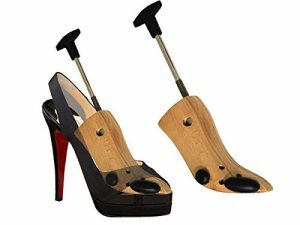 Features: The stretcher has two bunion plugs which are used for specific areas of shoes. The metal part is made of stainless steel. The widening handle is for the opening/ close of the block. It has 16 holes, and it helps in spot stretching of plugs. Change the shoe into a comfortable and perfect fitting. t also helps in foot problem and removes the pain from tight shoes. It can be used for both right and left foot shoes. It breaks on heavy pressure. It can stretch width only. This shoe stretcher also made of wood which is polished German beech and used in both for width and length enlargement. You can see the function in the manual. Features– This Two-way Shoe Stretcher has 3 Corn/ Bunion plugs as spot relief. The handle part is stainless steel made. Heel Block is there, and it can be turned by lengthening wheel. It also includes 14 holes for stretching relief. When you stretch the shoes, it will give you the relaxation of wearing shoes. You can use the single stretcher both left and right side shoes. The metal part breaks sometimes. It also creates a problem for heal enlargement. Features– Spray the shoe stretch fully on the shoe where it needed to stretch. When the solution dries, you can wear the shoe. If it is not fit yet, repeat the process until it becomes comfortable. The shoe stretch can be useful for leather, linens, canvas, and suede. It is German made beech wood as a normal shoe stretcher, and the stretcher set is a combo of high heel shoe stretcher and 4 oz. Shoe Stretch Spray. Features– It uses for stretching the width of the heel of the shoe. There are 2 bunion plugs for stretching the particular area. The design is made for shoes of 3’’ to 6’’ high heel. Spray the solution where it needed. Can be used for both rights and left shoe. Remove the sore toes, heel pain and also help in reducing the rubbing of a high heel. The enlargement process is very easy. The spray can be used for both inside and outside of shoes. Can be used for width only. The spray is not useful for all kind of shoes. 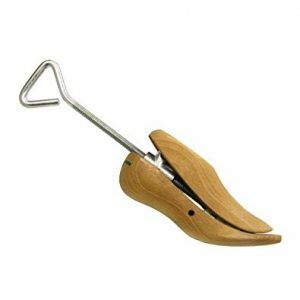 This instep raiser is made of hardwood and controlled by a steel handle. It helps to raise the instep of your shoe up to desired height. Features– The design is made for releasing the pressure from inside without any deformation of the shoe. The design is made both for right and left shoes. It helps to release the tightness and help in pain removal of new shoes. It helps to remove the break-in-period. Although made up of wood and metal parts, it can break under heavy pressure so only make a few turns at a time to protect your shoes and stretcher. This professional shoe raiser is made of hardwood, and the handle part is made of steel. The raiser helps to stretch the height of the toe box up to your desired limit. Features– It helps to give you the extra space in the toe area. Comes with bunion plugs to give extra room, your bunions, corns, hammertoes will fit well in your shoe. The design is made specifically both for left and right shoes. Give your toe box an extra height to fit properly. The slim design is work for most of the shoes. Slips out sometime when the screw is tightened. So, these are the few shoe stretchers which are available in the market. You can buy these products here or online, and the item will be delivered to your preferred location. Price of stretchers are very cheap, and it will be beneficial for you to get a shoe stretcher at home. 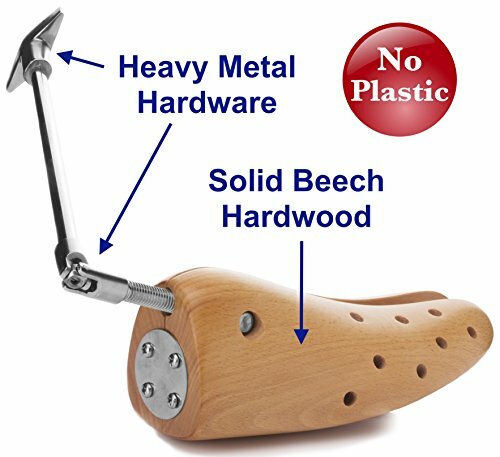 So if you are looking for the best shoe stretcher on the market today, you can’t go wrong with HoundsBay or Footfitter two-way shoe stretcher Whether your shoe concern is width, bunions or tightness in the toe or heel, their beech wood shoe stretcher was designed to lengthen and widen shoes that are too tight or uncomfortable. And if you are looking for the Best Boot Stretchers on the market for 2019 here is your link and happy shopping.